Here’s a scary thought…Halloween is only a few short weeks away! (Eeek!) Read on to learn how you can get in the spooky spirit with some hauntingly good sweets and treats! Make your Halloween party a graveyard smash with our new Monster Mash Smiley Cookies! 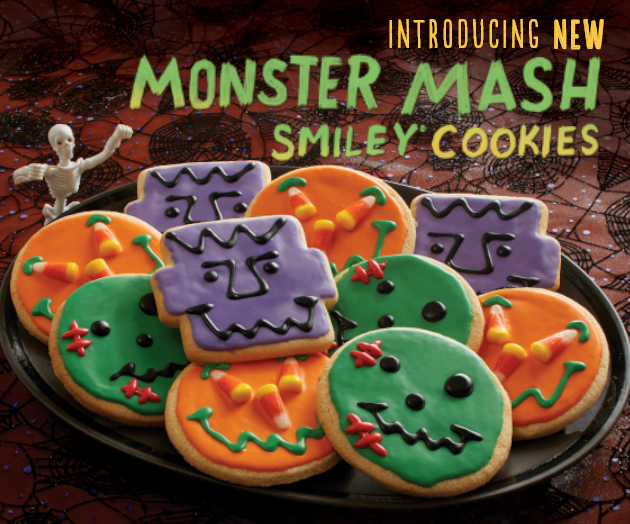 Featuring our classic Halloween Smiley Cookies, complete with candy corn eyes and crooked smiles, as well as new Zombie Smiley and FrankenSmiley Cookies, these packs are frightfully delicious! Pick some up for your ghostly gathering for only $6.99 a dozen. 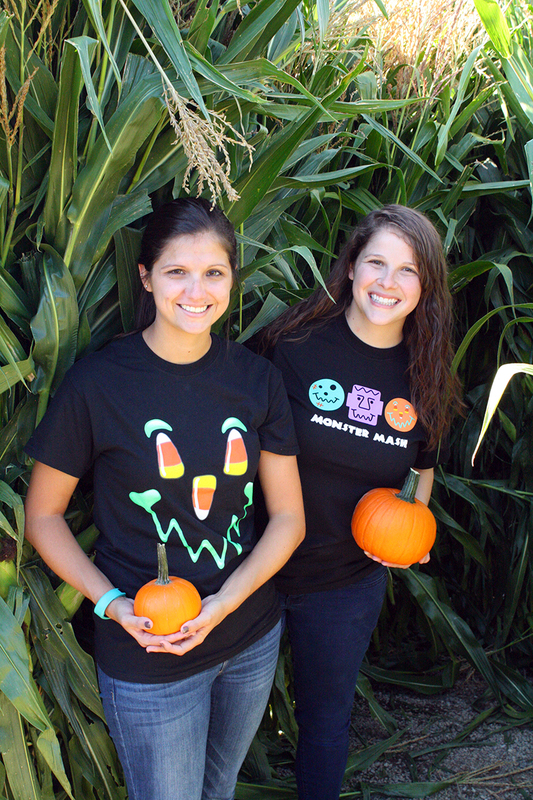 There must be witches around because our Halloween T-Shirts are flying off the shelves! Available in both kids and adult sizes, our glow-in-the-dark Halloween Smiley T-Shirts (back by popular demand) and new Monster Mash T-Shirts are the perfect attire for handing out sweet treats to little trolls, ghosts, and goblins! Both shirts are available for just $9.99 for adults and $7.99 for kids. It would be nice if you offered the tshirts online also for those of us who live out of state. How about it?